The times magazine, August, 2017 - "a truly local vibe, and doorstep access to hipster Krymská Street in Vršovice, the Czech Inn hostel is hard to beat"
El viajero, February, 2017 - "Bienvenidos a uno de los ganadores del premio de Hostels Más Populares, en una de las ciudades predilectas para los mochileros (Welcome to one of the Most Popular Hostel Award winners in one of the most popular backpacker cities)." 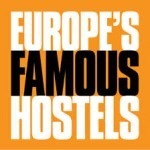 EL PAIS, February 2017 - "20 European hostels that will surprise you"
Hostelgroup Ambassadors, January 2017 - "The Czech Inn has a wow-factor before you even enter the premises." Valeria Anastasia Blog, January 2017 - "Czech Inn offers affordable luxury away from the tourist traps, and immersed in local culture. " Mala de Aventuras Blog (Portuguese), December 2016 - "Another thing I loved about the room we stayed in was the view!" 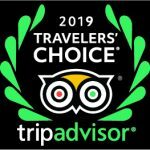 Blogger Periodistas Viajeros (Spanish), October 2016 - "The staff are very friendly and knowledgeable and offer good ideas to enjoy Prague." Maxima Magazine, October 2016 - "A 19th century Art Nouveau that has been refurbished to become a hostel design." Budgettraveller.org, August 2016 - Luxury Hostels Of Europe ebook (p 305) - "We absolutely loved staying at the Czech Inn." famoushostels.com, March 2016 - The Czech Inn recently celebrated it's 10th Birthday. newwanderlust.com, February 2016 - "First impressions of the hostel were great." The Guardian, October 2015 - "A quasi-industrial hostel that towers at the top the hippest lane in the city." justapack.com, September 2015 - The Best Hostels in Prague - "beautiful and unique decor"
The Crowded Planet, September 2015 - "A great example of ‘luxury hostel"
The Guardian, September 2015 - "Well-run design-savvy hostel"
The National Student, August 2015 - "Clean and tidy rooms at very reasonable rates"
Rough Guides, March 2015 - "Fall in love with the city at Czech Inn"
Czech Inn is a proud member of Europe Famous Hostels and is the baby (yet the biggest) in the Bohemian Hostels family. The Bohemian Hostels story dates back to ‘99, when Sir Toby’s opened with just ten beds…and zero guests. Fifteen years and thousands of guests later, our family has grown to include: the boutique beauty Miss Sophie’s and yours truly, the chic and sleek Czech Inn. We are now proud to introduce our newest baby, The Nicholas Hotel Residence, a charming little hotel on Malostranske namesti, right by the Charles Bridge!